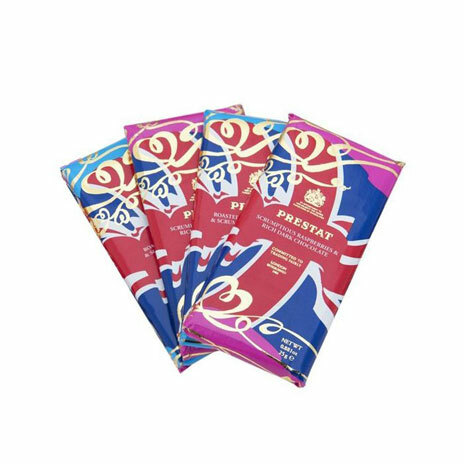 A pack of four mini chocolate bars by Prestat - the British confectioners. 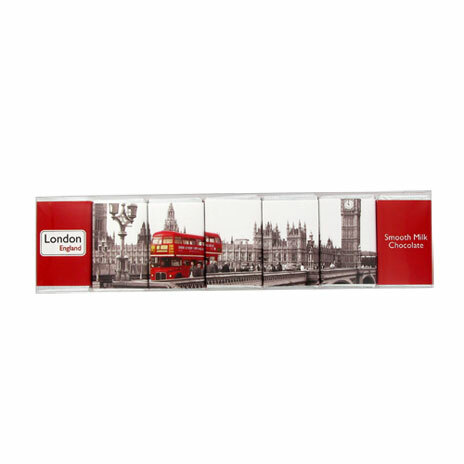 These bars were launched for Her Majesty The Queen's Diamond Jubilee. Two bars of dark chocolate and two bars of milk chocolate are provided. 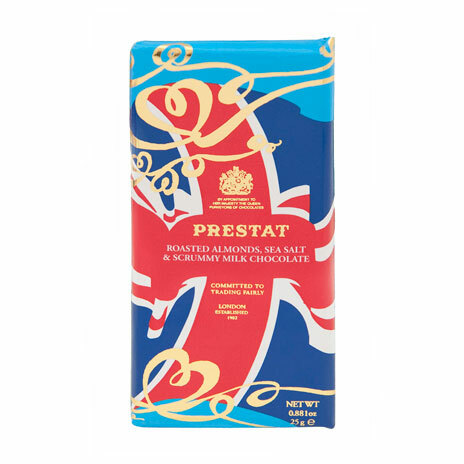 The dark chocolate is packed full with raspberries, whilst the milk chocolate is enhanced with home roasted almonds and sea salt from Anglesey, Wales. Four 25g bars are provided.